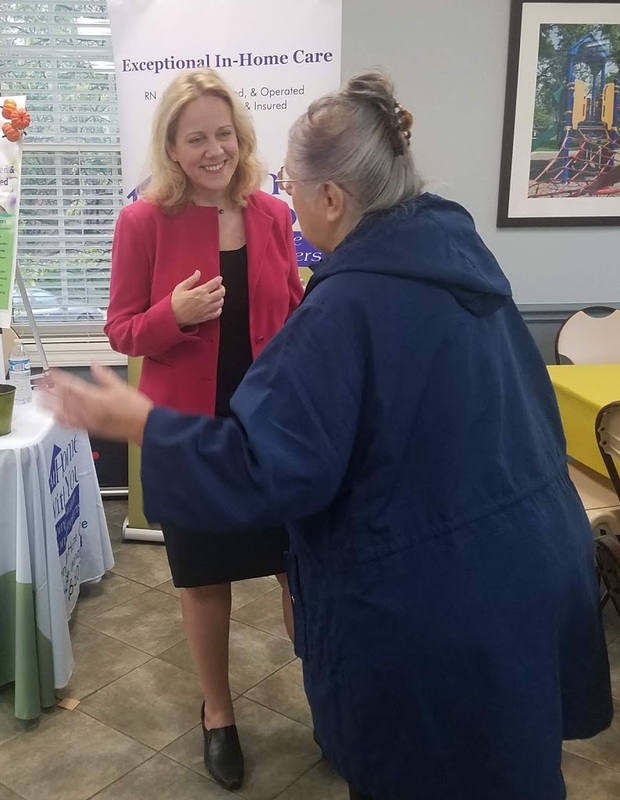 State Representative Deanne Mazzochi (R-Elmhurst) attended the Westmont Fall Senior Festival on Friday and supplied area seniors with information about state agencies and organizations that cater to the needs of older adults and their caregivers. Sponsored annually by the Senior Resources Group of the Westmont Chamber of Commerce, the fall festival offers local seniors an opportunity to enjoy refreshments while learning about the various services and companies that are available to help older adults from Westmont and the surrounding areas. The three-hour event featured music, door and raffle prizes, health screenings, information about the state’s medication take back program, a notary service, Medicaid Card lamination and speakers on timely topics.